Played his entire 20-year career with the Brewers. He was one of three players to win an MVP award at two positions -- 1982 while as a shortstop and 1989 as a center fielder. 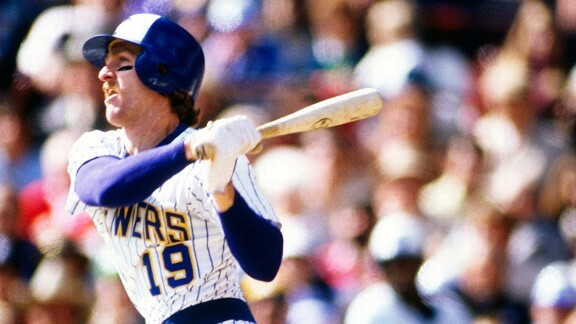 Ranks 18th on the all-time hits list (3,142); he collected more hits in the 1980s (1,731) than any other player. His 210 hits in 1982 led the American League.